Expected price of Xiaomi Mi 9 SE in India is expected to be Rs. 21,190. Xiaomi Mi 9 SE Expected to be launched on 4th April 2019. The unknown / 6GB variant of Xiaomi Mi 9 SE costs around Rs. 21,190 and expected to available in Silver, Dark Blue and Midnight Black colour. 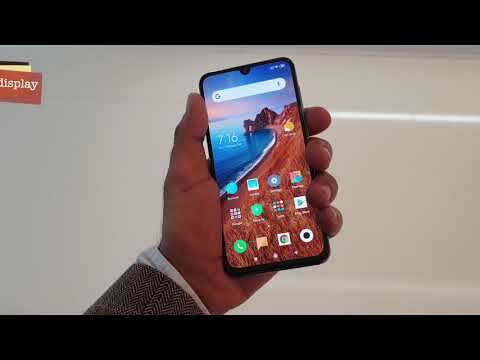 The Xiaomi Mi 9 SE is a midrange offering by Chinese based company Xiaomi. The smartphone is a lite version of company's flagship named Mi 9. The device comes with all new generation features, be it processor or cameras. The phone also has a good build quality as is an ideal deal for people looking out for a midrange that offers flagship like performance. The Mi 9 SE is made on an aluminium frame with a unicolour glass sandwich design, this makes the phone solid along with retaining a glossy design with reflecting back. The handset flaunts a 6.2-inch IPS LCD touchscreen panel with full HD+ resolution of 1,080 x 2,244 pixels and a fairly high 415 PPI density, that contributes to the high contrast and great viewing angles. To power this, the device has a Li-ion 3,300mAh battery that supports fast charging via the USB Type-C port. The battery stores enough juice to power the smartphone for a day with average usage on a single charge. The main camera is a 12MP + 8MP dual camera setup, capable of shooting highly detailed pictures and enhanced low light performance. The front camera is a high 24MP sensor for taking selfies and also supports software backed portrait mode. The Mi 9 SE runs of Qualcomm Snapdragon 710 octa-core SoC that has 2.2GHz clock speed. It also comes with Adreno 616 GPU coupled with 4GB of RAM, that makes the smartphone to perform no less than its flagship counterpart in terms of day to day usage. The device is running Google's Android 9.0 (Pie) with MIUI 10 that offers some useful apps and better user experience with new gesture-based navigation. The Xiaomi Mi 9 SE does retain a 3.5mm headphone jack with an active noise cancellation microphone. The smartphone also carries all necessary sensors like a fingerprint sensor, light sensor, proximity sensor, accelerometer, compass, and gyroscope.